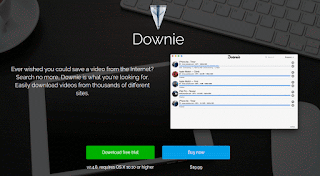 Download Downie from here. Within a few clicks and skips, you’ll be ready to Rock. The setup is pretty easy and would guide you all over the dashboard and the functions. Now let’s jump to the one thing, what all of you’ve been waiting for. How to start downloading videos from YouTube or any other website? Well, all you need to do is to drag the link to the video source from any browser like Safari into the Downie’s Window. 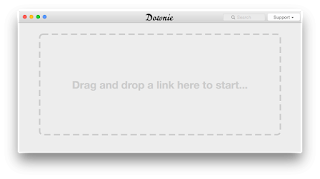 You can also copy and paste the link and just let Downie do all the work for you.